Purpose: Frail elders and nursing home residents are vulnerable to poor oral health and frequently lack access to dental care. The purpose of this study was to determine why residents in Arkansas skilled nursing facilities have limited access to oral health care. Methods: This study utilized qualitative research methodology. Data was collected from oral health care personnel through open-ended responses in a written survey (n=23) and through telephone interviews (n=21). The investigators applied the constant comparative method to analyze and unitize the data and ultimately reach consensus. Results: Data analysis resulted in consensus on 2 emergent themes: policy and access. Conclusion: This qualitative case study suggests access to oral health care for residents living in both long-term care (LTC) and assisted living I and II facilities in Arkansas is affected by public and facility policies and access to oral health care as a function of the patient's health status and availability of oral health care providers. Access for residents residing in assisted living I and II facilities is also limited by the residents' inability to assume responsibility for accessing oral health care. The outcomes from this study may serve to inform policymakers and advocates for access to oral health care as they develop new policies to address this growing need. It is important to assess dental needs of residents in nursing facilities in an effort to better provide oral health care. The purpose of this study was to determine why residents in Arkansas skilled nursing facilities have limited access to oral health care. Institutional review board research protocol was approved by the University of Missouri-Kansas City. This study used a qualitative research design with descriptive statistics. The study was initially designed to capture quantitative and qualitative data using a validated survey instrument that identified current issues in meeting oral health needs of nursing facility residents.28 A question delineating the type of facility (LTC or assisted living) and open ended questions about dental hygienists providing oral care were added to the survey. Paper copies of the survey and follow up postcards were mailed to oral health care personnel in Arkansas nursing facilities (n=311). The oral health care personnel were defined as the staff member most involved with oral health care in Arkansas nursing facilities and included Directors of Nursing, registered nurses, certified nursing assistants (CNA) and health and wellness coordinators. Administrators who received the initial survey and cover letter made this determination. The survey was also distributed electronically to all registered Arkansas Health Care Association members (n=306) in a weekly members' newsletter. Collectively, 23 surveys representing 14 counties were returned. The response rate was low (7.4%), so a quantitative analysis, as originally planned, was not implemented. Four researchers separately analyzed the open ended responses using the constant comparative methods described by Lincoln et al.33 Data was unitized by deconstructing the open responses and identifying key themes. Table I lists the descriptive and interpretive codes that were used. As themes emerged, the unitized data were reviewed and compared to reflect and describe specific themes. In order to increase the response rate the primary investigator conducted telephone interviews with oral health care personnel working in facilities located in zip codes where the mailed surveys were not returned. A purposeful sampling strategy was used to target facilities (15 LTCs, 3 assisted living I and 3 assisted living II) for a combined total of 21 interviews. Facilities were located in 13 counties equally distributed across the state. Unstructured, open-ended questions were asked to investigate why residents in Arkansas nursing facilities have limited access to oral health care. The primary investigator began each interview asking: “From your perspective, what are the greatest needs and barriers to providing oral care for residents of your facility?” Questions were asked until no new information emerged. The primary investigator took detailed notes to capture the essence of each conversation.33 Four investigators separately analyzed interview notes and reached consensus identifying key themes. Descriptive numerical frequencies were tracked and totaled within categories and calculated as an overall total percentage. Several approaches were employed to establish validity and reliability of the findings as suggested and described by Creswell.34 Triangulation was achieved by collecting and analyzing data from 2 separate sources and by comparing the present findings with published literature. Between the 2 sources of information, 23 of Arkansas' 75 counties were represented. Using descriptions to convey findings providing a sense of shared experiences was accomplished by including original quotes in the results. Peer debriefing was used within the qualitative study for describing results for other care providers, government officials or families reviewing results to enhance accuracy. Table II summarizes the key themes that emerged from the survey's open-ended questions and interview responses. Collectively, 133 units of data were analyzed. The emergent themes included policy (77%) and access (23%). Policy was defined as the rules and regulations in place that direct the provision of health care in LTC and assisted living facilities. Access was defined as making oral health care available for both LTC and assisted living facilities. Within the theme of policy, 4 representative interpretive codes emerged. The areas of particular interest include regulations (12%), education (12%), infrastructure (44%) and personnel (8%). A majority of oral health care personnel's expressed not having appropriate infrastructure (44%) for the provision of oral health care within their facilities. Oral health care personnel's discussed a lack of dental equipment, providers, money and time, all of which impacted the delivery of care. Residents within these facilities may be insured, uninsured or underinsured; thus all residents living in the same facility do not have the same financial resources. This variability requires the oral health care personnel to understand multiple plans and know how to navigate each system. Respondents stated: “Our mobile dental services cannot provide emergency care and only people on the ‘offset plan’ usually get services,” “Families cannot afford dental care” and “This is a rural area with lots of people with no money.” Thematically, these statements support issues associated with infrastructure (44%) and regulation (12%) practices. An oral health care personnel with extensive experience described a demanding work environment: “There is a prevalence of OHCP (oral health care personnel) burnout especially in the for-profit setting. OHCP staff frequently work 14 hour days. Oral care is often sacrificed as it is not visible, providing OHCPs a shortcut to surviving the day.” The oral health care personnel further discusses current attempts by nursing homes to implement a culture change when she described: “This change is to focus not just on the elder, but on the elder caregiver; to promote relationships between elders and staff by promoting consistent assignments in which the CNA would work with the same person or group of elders.” This finding described the theme of lack of personnel (8%) and the importance of staff providing quality care for residents being served. Throughout the interviews oral health care personnel's at assisted living facilities discussed the need for better oral health education among personnel: “Educating staff about oral care is not required as nursing staff is primarily responsible for taking medication to the resident and reminding them to take it,” and: “Oral care is not regulated but we do provide some in-service education related to oral care.” The amount of oral health education provided to staff ranged from none to occasional and was inconsistent between facilities. Thematically, issues associated with staff education (12%) and personnel (8%) have significant impacts on care provision. Lack of finances was a commonly cited barrier for accessing care services. One oral health care personnel recalled a resident having to choose between accessing dental care and purchasing medication. The oral health care personnel reported: “He ‘chose his medicine.’” These statements supported the considerations thematically associated with infrastructure (44%). Concerns regarding lack of regulations were significantly higher for assisted living facilities (31%) than for LTC facilities (4%). Survey responses and interviews with oral health care personnel in LTC facilities revealed concerns that facilities have too many regulations and too much red tape hindering provision of oral health care. Conversely, survey responses and interviews with oral health care personnel in assisted living facilities expressed difficulties because of the lack of regulations. Assisted living facilities are not regulated and therefore are not required to provide oral care assessments or treatment. “We do not have dental assessments. The resident is responsible for making dental appointments.” These statements support concerns thematically associated with regulations (31%). Within the theme of access, 3 representative interpretive codes emerged: patient health status (8%), provision of care (11%) and residential responsibility (4%). The oral health care personnel at LTC facilities expressed access being impacted by patient health status (11%). This did not appear to be a concern for assisted living facilities (3%). A number of oral health care personnel expressed challenges when working with patients who have dementia resulting in the following quotes: “They are uncooperative and don't understand what you are trying to do and may even think that the toothbrush feels funny.” Additional concerns were related to residents being unable to articulate their own needs due to cognitive impairment: “They are often uncooperative, without it being their own fault-they don't understand what you are trying to do for them.” Another described concern that an underlying dental problem could cause behavioral problems stating: “They cannot tell you where it hurts.” These comments address concerns thematically associated with patient health status (8%) and provision of care (11%). Repeated concerns were expressed about weight loss as a result of the lack of access to oral health care: “Many of the residents have ill-fitting dentures that discourage proper eating and cause weight loss,” and: “It is important to improve oral care in order to avoid losing weight.” Another stated: “They (residents) just don't care about taking care of their teeth.” These comments support concerns thematically related to patient health status (8%) and provision of care (11%). Residents of LTC and assisted living facilities have a variety of public and private dental insurance plans. Oral health care personnel in the present study voiced difficulties leveraging the nuances of these plans. Often oral health care personnel do not have the knowledge and time to assist residents in using the resources that are available. It is unlikely that this will change in the near future. Dental care coverage prior to and following the implementation of the Affordable Care Act (ACA) is provided primarily for children. Provisions of the ACA exclude mandatory dental coverage for adults deferring provisions to states.39,40 In Arkansas, older adults covered by both Medicare and Medicaid are selectively provided dental care under “life threatening conditions” only (Office of Oral Health, personal communication, 2014). The present study revealed oral health care personnel felt more oral health education would be beneficial. This finding mirrors conclusions made by the Institute of Medicine in the 2011 report “Improving Access to Oral Health Care for Vulnerable and Underserved Populations.”41 The literature is replete with studies detailing the low priority of oral health by non-dental health care professionals.41-45 In response to these shortcomings, the Committee on Oral Health Access to Services developed a core set of oral health competencies and curricula for non-dental health care professionals to improve their ability to promote oral health and disease prevention.41 A national initiative known as the Oral Health Nursing Education and Practice was established to address this concern.46,47 An important aim of this initiative is to use inter-professional teams across the health care system to improve oral care provisions. Nurses are on the front line with regard to providing oral health care. With adequate education and training in oral health care, the nursing workforce has the potential to improve access and quality of oral health care. Education and training about activities of daily living could incorporate oral health care practices along with bathing, toileting and dressing. Oral health outcomes could be improved using an interdisciplinary approach to care. Assisted Living facilities are the fastest growing segment of the nursing care continuum,48 with the typical assisted living resident being much like the nursing facility patient of the past with a high burden of functional impairment and related illness.49 Research concerning oral care provision centers on highly regulated LTC facilities. Limited attention is given to unregulated assisted living facilities. A comprehensive report funded by the State of Florida Health Care Administration revealed a general lack of oral care during the period after retirement and before entering a nursing facility.50 Results from the current study indicate assisted living residents are less likely to have a dental exam than LTC residents. Residents of assisted living did not receive assistance with oral hygiene and a dental plan was not required. Downstream medical costs could be reduced by increasing access to oral care at this critical juncture by preventing disease and its associated comorbidity. The Institute of Medicine's longitudinal landmark study cited numerous recommendations for policy reform including the establishment of a unified set of items and definitions for assessing all residents in nursing facilities in the nation.51 Concerns about poor quality of care and the rights of residents within the nursing home led to a government mandate known as the 1987 Omnibus Budget Reconciliation Act (OBRA) which provides a set of standards for nursing homes known as the minimum data set.52,53 Regulations, such as minimum data set, are in place today in an attempt to improve and monitor the quality of care provided in LTC,53 yet many LTC residents have inadequate access to oral care.11,18 The inadequacy of the minimum data set has been reported by a study of Iowa nursing homes in which it was determined that the use of the oral, nutritional and dental sections of the minimum data set are often not useful and not used as intended in the identification of dental needs.25 These regulations need to be updated to reflect the changing needs of older adults, who are living longer and retaining their teeth, so they have improved oral care. In addition to OBRA regulations, Arkansas, as in most states, require that facilities establish a written cooperative agreement with an advising dentist or dental service which includes a provision to participate annually in a staff oral hygiene policies and practices development program.54 Conclusions from studies of both LTC and assisted living facilities indicate that oral health policies and practices vary, and that dental involvement in policy creation and in providing consultation and service is limited.28,36 The current study supports these findings as evidenced by LTCs reporting annual policy development programs with inconsistent amounts of in-service education. Oral health care personnel in assisted living seemed receptive but stated they were not required to provide any dental care other than transporting the resident to a dentist if necessary. Lack of time and funding, as well as an overall low priority seems to prevail. Interestingly, the Arkansas state penitentiary employs a dental hygienist in an on-site dental clinic raising questions about the parity of policies and infrastructure in place for providing oral care within the state. This inequality is further illustrated in the 2011 Arkansas report card published by the PEW Center on the States where children's' oral health improved from a “F” in 2010 to a “C” in 2012.58 Infrastructure in Arkansas has been modified to provide access to oral health care for many different populations; however, older adults are being overlooked. A recent survey of the burden of oral disease in Arkansas has found demographic inequities in older adults especially with regard to education, race and gender.59 Updating regulations and policies to require individualized care plans developed by a dental professional should be in place and available for all individuals. Replication of this study in other states would be beneficial to improve generalizability. In order to achieve an acceptable survey response, future research with this target population should explore ways to connect with oral health care personnel “in person” in settings such as professional meetings. In person contact was suggested by oral health care personnel due to lack of time, and lack of access to electronic or regular mail within their workplace. Investigators may want to offer incentives for survey participation. A mixed methods approach incorporating before and after focus interviews along with a survey could also strengthen and enrich this study type. Additional suggestions for future research are to assess the perceptions of oral health care personnel as to their own oral care practices and beliefs and to investigate dentists and dental hygienists in Arkansas to determine their interest in, or experiences with providing care through the use of a Collaborative Care Permit. This qualitative case study suggests access to oral health care for residents living in both LTC and assisted living I and II facilities in Arkansas is affected by public and facility policies and access to oral health care as a function of the patient's health status and availability of oral health care providers. Access for residents residing in assisted living I and II facilities is also limited by the residents' ability to assume responsibility for accessing oral health care. The outcomes from this study may serve to inform policymakers and advocates for access to oral health care as they develop new approaches to address this growing need. We are grateful for research support from The University of Missouri Kansas City Research Support Committee. The authors also thank Dr. Edward Gbur at the University of Arkansas Fayetteville for his help with statistical analysis, the Arkansas Health Care Association for their assistance with the electronic survey and Barbara Smith for use of the survey instrument. Virginia M. Hardgraves, RDH, MS, is an Instructor of Dental Hygiene at the University of Arkansas-Fort Smith. Tanya Villalpando Mitchell, RDH, MS, is an Associate Professor and Director, Graduate Studies; Carrie-Carter Hanson, RDH, EdD, is an Assistant Clinical Professor; Melanie Simmer-Beck RDH, PhD, is an Associate Professor. All are at the University of Missouri-Kansas City. This study supports the NDHRA priority area, Health Services Research: Identify how public policies impact the delivery, utilization, and access to oral health care services.
. Population estimates. U.S. Census Bureau, Department of Commerce. 2010.
. National health and nutrition survey (NHANES). Centers for Disease Control and Prevention. 2006.
. Oral health resources; complete tooth loss. National Center for Chronic Disease Prevention and Health Promotion. 2010.
. Geriatric oral health issues in the United States. Int Dent J. 2001;51(3 Suppl):254-264.
. The unique oral needs of an aging population. Dent Clin N Am. 1997;41(4):633-649.
. Oral health in America a report of the Surgeon General. U.S. Department of Health and Human Services, National Institute of Dental and Craniofacial Research, National Institute of Health. 2000.
. Dental expenditures and insurance coverage among older adults. Gerontologist. 1995;35(4):436-443.
. Professional oral health care by dental hygienists reduced respiratory infections in elderly persons requiring nursing care. Int J Dent Hygiene. 2007;5:69-74.
. Modification of the risk of mortality from pneumonia with oral hygiene care. J Am Geriatr Soci. 2008;56(9):1601-1607.
. Access to dental care among older adults in the United States. J Dent Ed. 2005;69:961-974.
. Receipt of dental care, dental status and workforce in U.S. nursing homes: 1997 National Nursing Home Survey. Spec Care Dentist. 2007;27(5):177-186.
. Staff-led interventions for improving oral hygiene in patients follwoing stroke. Cochrane Collection. 2011:1-28.
. Oral hygiene care for residents with dementia: a literature review. J Advanc Nurs. 2005;52(4):410-419.
. Oral health, general health and quality of life in older people. Spec Care Dentist. 2008;28(6):224-236.
. Nosocomial pneumonia and oral health. Spec Care Dentist. 2005;25(4):179-187.
. Meeting oral health needs to promote the well-being of the geriatric population: educational research issues. J Dent Ed. 2010;74(1):29-35.
. The role of biobehavioral, environmental, and social forces on oral health disparities in frail and functionally dependent nursing home elders. Biol Res Nurs. 2005;7(1):75-82.
. Factors associated with oral health-related quality of life in community-dwelling elderly persons with disabilities. J Am Geriatr Soc. 2008;56:711-717.
. Self-perceived oral health status, psychological well-being, and life satisfaction in an older adult population. J Dent Res. 2000;79(4):970-975.
. Oral health promotion among older persons and their care providers in a nursing home facility. Gerontology. 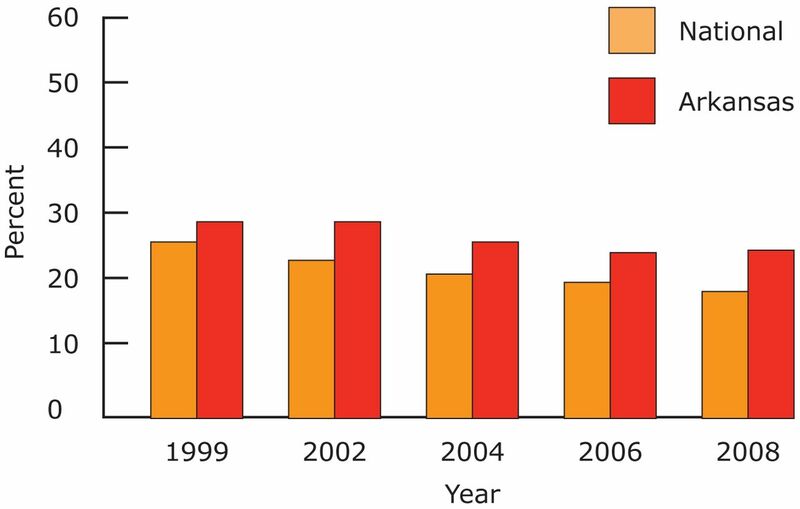 2006;23:73-8.
. Public health issues in geriatric dentistry in the United States. Dent Clin N Am. 2008;52(2):423-446, vii-viii.
. Nursing home care in the USA. Geriatr Gerontol Int. 2009;9(1):1-6.
. Nursing directors' perceptions of the dental components of the minimun data set (MDS). Spec Care Dentist. 2000;20(1):23-27.
. Oral health care needs of dependent older people: responsibilities of nurses and care staff. J Advanc Nurs. 2003;2(6):1325-1332.
. Oral healthcare access and adequacy in alternative long-term care facilities. Spec Care Dentist. 2010;30(3):85-94. Healthy People 2020. U.S. Department of Health and Human Services. 2013.
. Arkansas Oral Health Plan 2012-2015. Arkansas Department of Health. 2011.
. Naturalistic Inquiry. Newbury Park, CA: Sage. 1985.
. Research design qualitative, quantitative and mixed methods approaches. Thousand Oaks, CA: Sage. 2009.
. Qualitative research and evaluation methods. Third ed. Thousand Oaks CA: Sage. 2002.
. Perceptions of oral health adequacy and access in Michigan nursing facilities. Gerodontology. 2008;25(2):89-98.
. Nursing home executive directors' perception of oral care in long-term care facilities. Spec Care Dent. 2005;25(2):111-117.
. Engaging the U.S. Congress in theoral health of special-needs adults: lessons from pediatric oral health policy. Spec Care Dent. 2013;33(4):198-203.
. Dental crisis in America: the need to expand access. U.S. Senate. 2012.
. Improving access to oral health care for vulnerable and underserved populations. Institute of Medicine. 2011.
. Oral health in America a report of the Surgeon General. U.S. Department of Health and Human Services, National Institute of Detnal and Craniofacial Research, National Institute of Health. 2000.
. Advancing oral health in America. Institute of Medicine. 2011.
. Improving oral health in women'nurses'call to action. Am J Maternal/Child Nurs. 2008;33(1):10-14.
. Oral health progress in Kansas. Kans Nurse. 2004;79(10):8-10.
. Oral health nursing education and practice program. Nurs Res Pract. 2012;2012:149673.
. Trends in residential long-term care: use of nursing homes and assisted living and characteristics of facilities and residents. U.S. Department of Health and Human Services. 2002.
. Medication use by Medicare beneficiaries living in nursing homes and assisted living facilities. U.S. Department of health and Human Services Office of Disability, U.S. Department of Health and Human Services. 2009.
. Designing the national resident assessment instrument for nursing homes. Gerontologist. 1990;30(3):293-307.
. Opinions on the provision of dental care in Iowa nursing homes. Spec Care Dent. 2011;31(1):33-40.
. Preferences for and influences on oral heath prevention: perceptions of directors of nursing. Special Care Dent. 1999;19(4):173-180.
. Meeting the oral health needs of institutionalized elderly. Dysphagia. 1992;7(2):73-80.
. 50 state fact sheet - Arkansas. Pew Charitable Trusts. 2013.
. The burden of oral disease in Arkansas 2013. Arkansas Department of Health, Office of Oral Health. 2013.
. Oral health champions in long-term care facilities-a pilot study. Spec Care Dent. 2014;34(4):164-170.